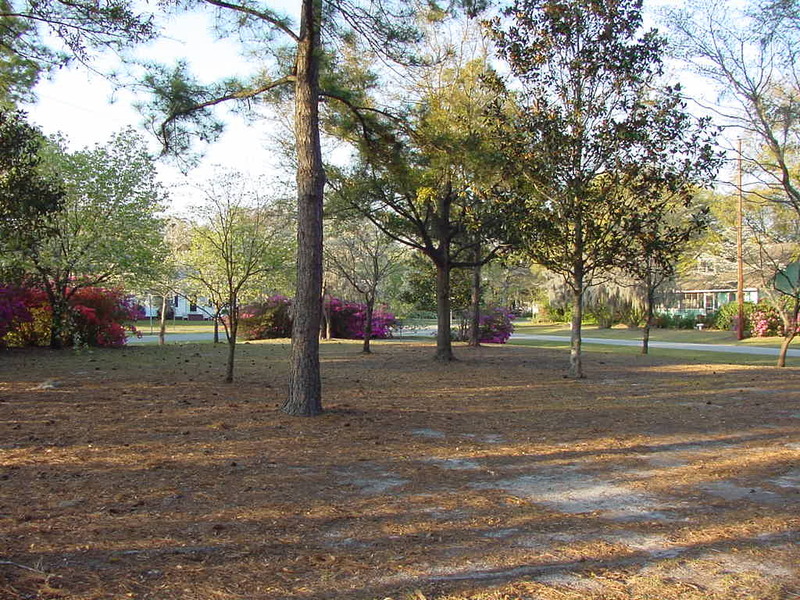 Park Circle Disc Golf Hole #6 has trees down the middle - choose right or left! 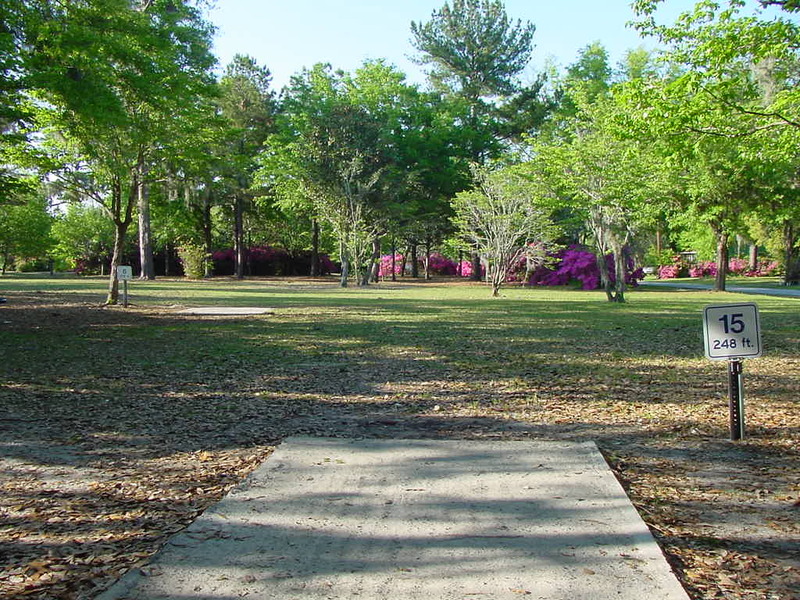 Hole #6 Primary basket at Park Circle Disc Golf Course looking back to tees. 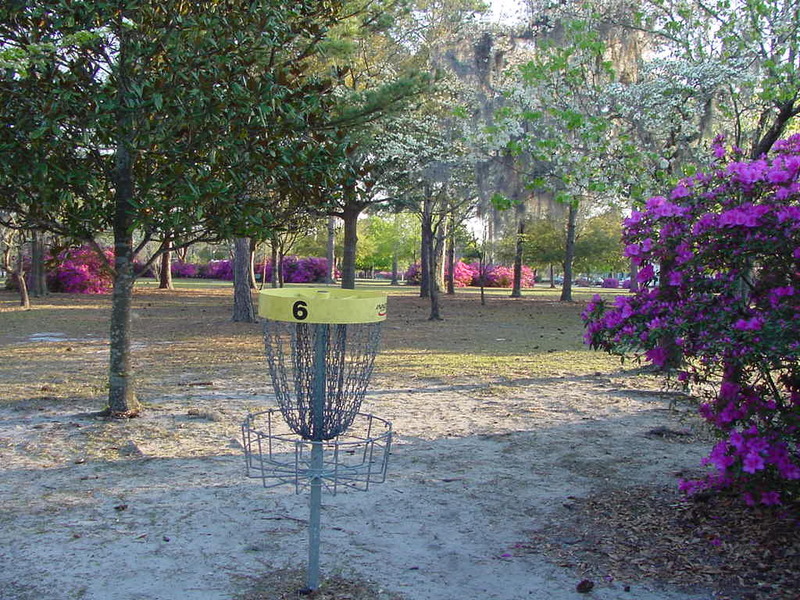 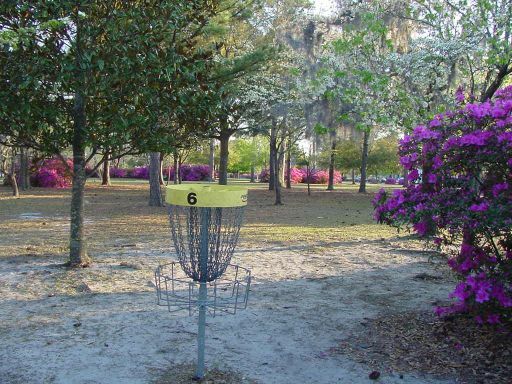 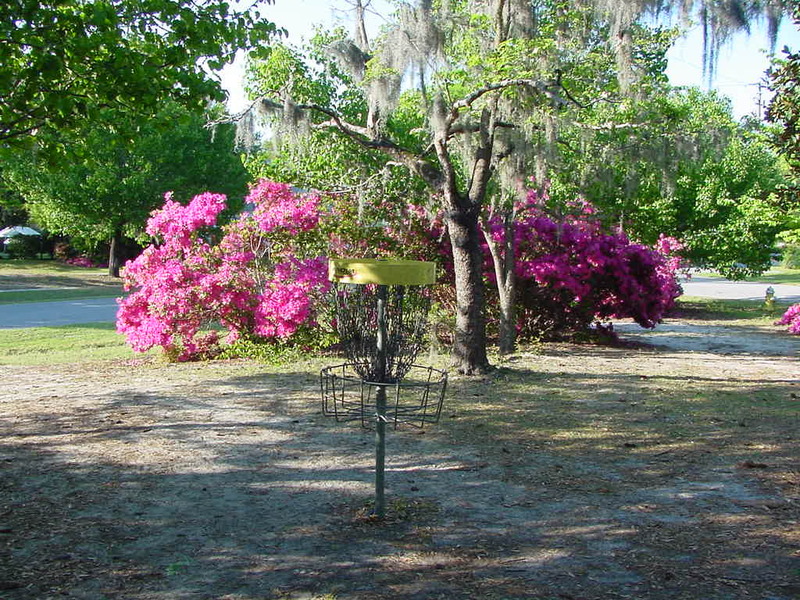 Hole #6 Alternate basket at Park Circle Disc Golf Course makes hole shorter. 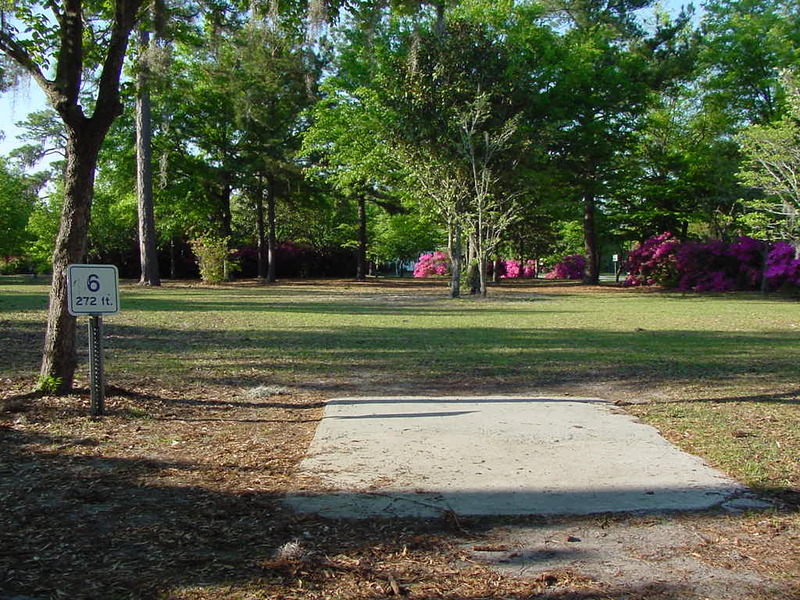 Hole #15 Tee was moved behind Tee #6 for improved safety, plus faster play.